The White Hart is a Grade II Listed property situated in the historic market town of Mildenhall just moments walk from the parish church of St Mary’s and the bustling Marketplace. The White Hart offers many services for the discerning customer. Whether your taste is for a Cask Marque real ale by the roaring fire or a summer cocktail sampled on our sunny patio, our friendly staff will be pleased to assist. 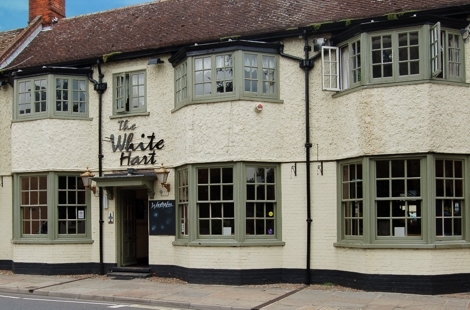 We look forward to welcoming you to the White Hart very soon…. Entertaiment til 3am with drinks deals to please you all.